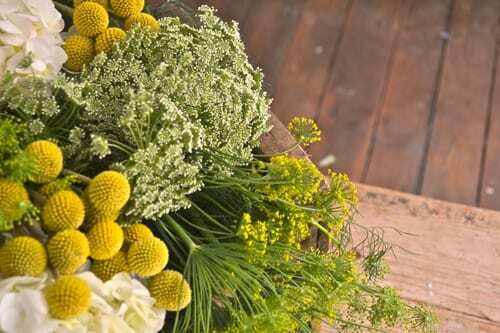 Could you tell us about your background in the world of floristry? My interest in floristry was sparked when I moved to London in the early 90s and I saw the most amazing flower shops that simply didn’t exist back home in the north of England. I remember peering into Jane Packer’s tiny flower shop on St James Street with absolute wonder, as I watched the most beautiful bouquets appear in front of my very eyes! I was in the fashion buying industry at the time and loved my job, so it was some time before I found myself in the world of floristry. A very special friend gave me a gift of a one day course with Jane Packer. I loved every moment and I guess without really knowing it, I was bitten by the bug! I started to arrange flowers at home and experiment with my own style. As time went on, I became brave and started to give away my flowers to friends and family and even (on a good day!) to local businesses. Around this time, my husband and I decided to up sticks and leave London for a change of pace and scenery. I decided to take the plunge and invest my savings into completing the Jane Packer Career Course. I completed the course and within a year had launched a business in the city of Bath. I began with a small shop, a very small flower school and the beginnings of a wedding and event business. The business grew and after 18 months, I moved to larger premises that enabled us to grow the wedding and event business. The move, I’m sorry to say, was timed with the recession and the shop sales struggled. After 2 years, the lease renewal was looming and I decided to take this opportunity to close the shop and use it as a workshop for the remaining season’s weddings. We completed over 100 weddings that season and I decided to take some time out and refocus the business. By taking a step back, it became very obvious that I was frustrated with the slow development of the flower school. For some time, I had wanted to develop my own four week career course and expand the day course curriculum too. But with so many events, it had proved impossible. It was a light bulb moment and I spent time rebranding and redefining the school strategy. Starting from a home workshop, I built the four week career course gradually, taking each class on a one-to-one basis until I was happy to take on more students on each course. The flower school grew in popularity thanks to our social media following and we’re now a small (but perfectly formed!) team of 4! We initially moved into a central Bath location and recently we’ve moved again to accommodate the growing popularity of our courses. 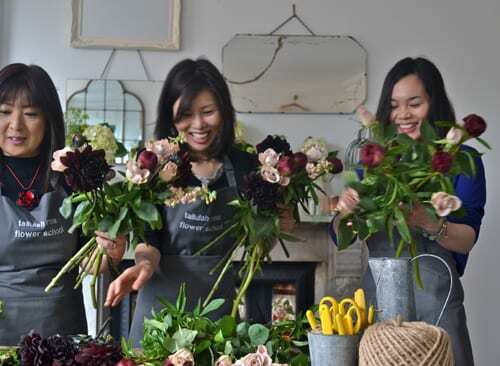 Everyone who works for the Tallulah Rose Flower School has great floristry experience and is very giving with their knowledge…the essence of our flower school. When did you set up the Tallulah Rose Flower School? Tallulah Rose was ‘born’ in 2009. Where is your flower school based? The flower school is based in the beautiful, historical city of Bath. A city known for its history and shopping in equal measure, with many independent shops, cafes and restaurants. We take students both nationally and internationally and are happy to recommend accommodation suitable to all budgets. A city large enough to offer a variety and small enough to feel homely, especially for those staying for the month. With excellent links to London and the South West, we’re well-placed to explore both the capital city and the countryside at weekends…if our students have the energy after working hard all week! We specialise in a four week career course offering a comprehensive curriculum for those students wanting to enter into the flower industry. This course is a mix of technical and business content, and has been the foundation for many new florist businesses. We also offer one day courses from bridal bouquets to table centres, festival flower crowns to seasonal planting. The one day courses are designed for both the absolute beginner through to those with more experience, simply seeking new inspirational ideas. Could you tell us about your Taster Days? We introduced our Taster Days back in 2012, designed for those thinking of enrolling on to the four week career course. We appreciate that this particular course is both a financial and time commitment and for some, it requires a lot of logistical support too. For this reason, we decided to introduce a day where any potential career course students could visit the school, meet the team and learn in detail about the course. The day is, by design, informal and relaxed and allows everyone time to ask as many questions as they have about the four week course, in order for them to decide if the course is right from them. How would you define your approach to floral design? We never take our eye off the ball! We’re continually working to achieve the best course content available for all our courses. Our four week course has evolved over the past four years to include the very best of technical design, whilst ensuring that our business content remains up-to-date and includes the best professional advice we can give. We invite professionals from their chosen field to come into school to advise our students, from accountants to flower growers, bank managers to brand designers. 2014 will be no different. We will continue to keep updating our courses, adding and taking away where we feel necessary and relevant. We’ve recently taken a trip to Flowers by Clowance down in Cornwall and have become a member of The British Flower Collective. 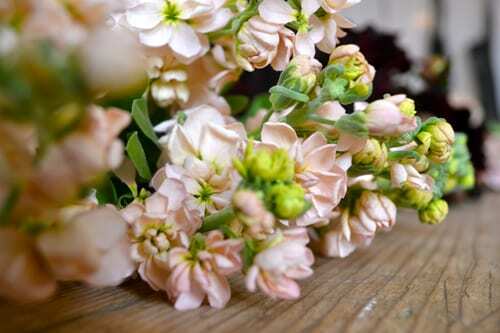 We’ll be working with local growers wherever possible this year and have introduced ‘British Flower’ days onto our courses, so that our students can experience working with homegrown flowers. We’re introducing two brand new courses to the school curriculum this year. 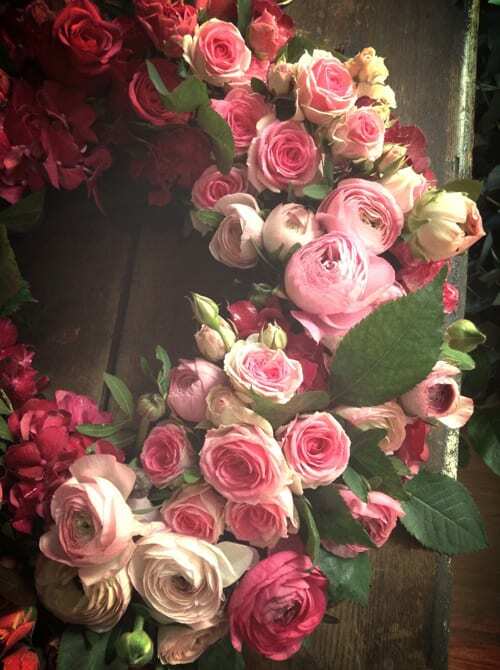 We’re very excited about both courses…the first being a four day Advanced Floristry course designed specifically for students who have completed the four week career course with Tallulah Rose or for those already in the florist industry and seeking confidence and inspiration. This course will focus on managing and designing large scale, opulent events giving the students the confidence to do this for themselves. 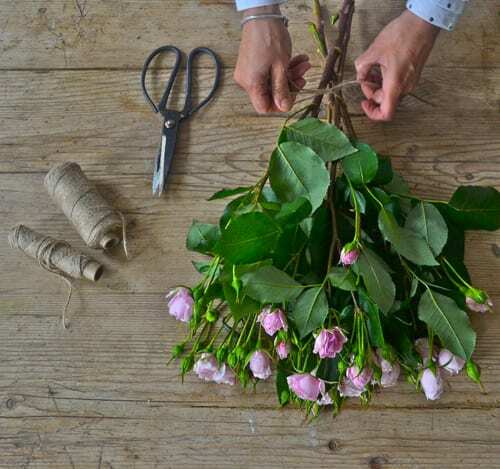 The second new course is a three day Sympathy Flowers course, designed for those already in the flower industry or for those with some flower arranging knowledge who are wanting to specialise. This course will cover both practical and theory, and will include working with a willow casket. We’re also offering business consultancy for the first time this year. We’ve helped so many of our former students with building their businesses at different stages of growth and as we’ve had such great feedback, we’ve decided to offer this as an independent service. Probably the hardest question. With every new season that comes around, I have another favourite flower! 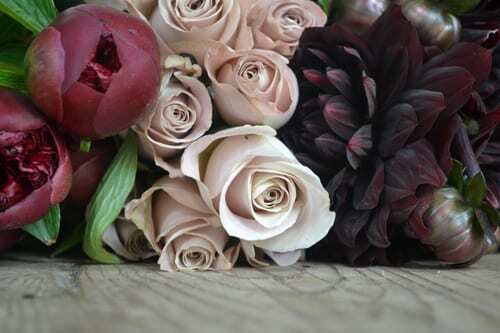 Ranunculus, Anemone, Hydrangea, Peony the list goes on…….. Thank you so much to Rachel for all her help in compiling today’s blog post. If you’d like to find out more about her courses (which I can personally recommend), do pop over to the Tallulah Rose Flower School website. Inspirational is absolutely the right word; Rachel and the team at Tallulah Rose are brilliant! 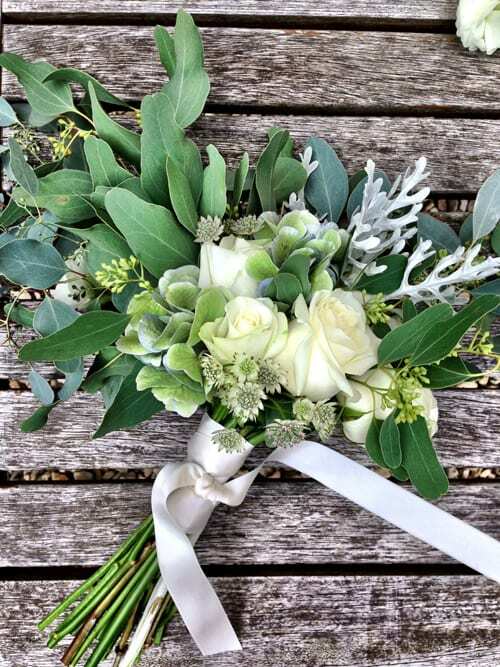 I spent July 2013 at the school, loved every moment of it – including a great afternoon with Rona – and am now enjoying running my own “bud” of a floristry business; their knowledge, experience, help and support were and continue to be invaluable. Thank you so much for your lovely comment! It was lovely to meet you too and I’m so pleased to see how your floral journey is progressing :-). I too took the July class with Clare and thoroughly enjoyed the experience! I came from the states and it was one of the best experiences of my life. Rachel is knowledgable and a born teacher. The learning environment was fantastic. I’m in the process of starting my own business but trying to join the ‘Slow Flower Movement’ in the states which is a pledge to use only US flowers. I really want to be a part of that and I hear it’s becoming popular in the UK as well. I have my business name, cards and a logo, just need to get a website. Thank you so much for your wonderful comment Jenine. I’ve heard about the Slow Flower Movement in the States and yes, buying/using British is gaining momentum here too. Good luck with getting your website up and running! What a fabulous interview and I have to agree with Clare’s comments. I left an admin job to take early retirement and wanted to do something I really enjoyed with my new found time. 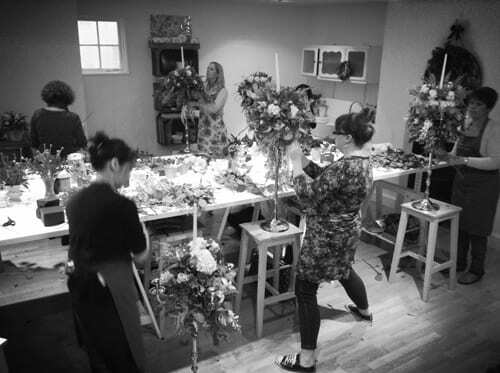 I had looked at other floral courses but what appealed about the course at Talullah Rose was the ‘lack of rules’, the designs made by previous students looked so natural and beautiful without having that ‘placed’ look about them. I spent a month in heaven! 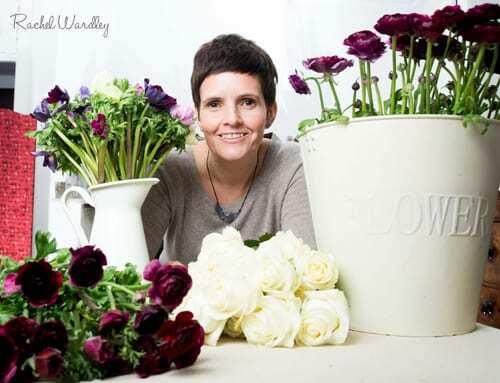 Rachel was so encouraging and nurturing, she really gives her students the confidence to leave the school with their new skills and enter the wonderful world of floristry. Rachel has also set up a student forum for those of us that have ‘graduated’, it’s such a great way for us to support each other and many friendships have been made. Thank you so much for your comment Karen :-). I agree with my fellow graduates above! I took the November 2013 course and started my business literally immediately afterwards! Rachel and her team offer a fantastic experience and top quality teaching. I loved the fact Rachel bought in other professionals to talk to us about specific aspects of business, including you Rona! It was really useful, the course gave a thorough grounding and all the tools needed (as well as building confidence) to just get out there and do it! Highly recommend it to anyone thinking of entering the floristry business. Hi Claire! Thank you so much for your lovely comment. Your website looks amazing and I love your logo! Many congratulations :-).